If you are a resident of London and looking for waste collection then you can rely on our waste collection services. We have been engaged in the job of waste collection London for years now, and are experienced in all types of rubbish collection London. With the increase in amount of garbage and pollution owing to that the waste collection rules and procedures have become stricter. We are up to date in terms of rules and regulations and are licensed by the civic authorities for collecting waste generated from commercial as well as household activities. We have been doing commercial waste collection in London. So far we have had a lot of commercial waste collected throughout London. There is a lot of variety in commercial waste. There is compostable, recyclable, reusable, toxic and hazardous material in commercial and industrial rubbish. Waste from offices and retail counters mostly consist of papers and cardboard which is mostly recyclable, and we collect and dispose them accordingly.Some rubbish from restaurants and hotels consist of tons of waste food which can be formed into compost for use in agriculture. Other industrial and commercial waste such as spent battery, chemicals, acids, and other hazardous rubbish call for careful handling, carriage and disposal. We have experienced and knowledgeable staff who can collect, carry and dispose any commercial waste efficiently. Gradual spread of the city of London coupled with the changing lifestyles of its inhabitants has resulted in generation of massive amount of household rubbish throughout the city. There are a variety of rubbish in it. There are biodegradable, recyclable, toxic and other types of rubbish in it. We can collect rubbish from any household as long as there is waste for removal. You can opt for skip hire or our man with a lorry mode of collecting waste. If you go for skip hire you will have to do a lot of diligence. You have to collect permit for placing the skip by the roadside, collect all the waste and load that on the skip yourself. 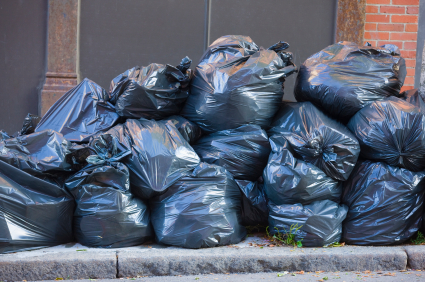 Moreover, your stingy neighbour may often use your skip for disposing of his or her own domestic garbage and save money on waste collection London. This will increase your total load of waste without your knowledge, but you have to pay for it. On the other hand if you go for our man with a lorry mode to collect rubbish from your household including your garden and garage your responsibility ends with aggregating the waste. We will collect all the waste of whatever kind they are, segregate them into different categories, dump them in different dumpsters, and carry them to proper disposal sites. Electronic and electrical waste such as defunct computer, monitor, scanner, refrigerator, television etc constitute an appreciable chunk of domestic and industrial waste. What is unique about these is that these are toxic for the environment and should never end in landfills. There are guidelines for removal of such items in the form of WEEE, and we keep that in mind while collecting waste.